The Nobel Committee announced yesterday that this year’s Peace Prize is going to the Organization for the Prohibition of Chemical Weapons, one of many significant international institutions critical to averting the escalation of war, promoting alternatives to military conflict and building a world free of the most dangerous weapons. The committee’s choice this year is similar to its 2005 selection of the International Atomic Energy Agency and its director, Mohammed El-Baradei, of whom we wrote at the time: “One can think of no more deserving winner of a prize for peace than a man who exemplified a clear, sensible, sane alternative to war.” The same could be said of the OPCW today. The sixteen-year-old group ordinarily operates below the radar but has achieved new prominence due to the resurgence of diplomatic efforts to resolve the conflict in Syria—efforts this magazine has fervently supported. Since the first prize was awarded in 1901, The Nation has published the writings of over a dozen Nobel Peace Prize winners. 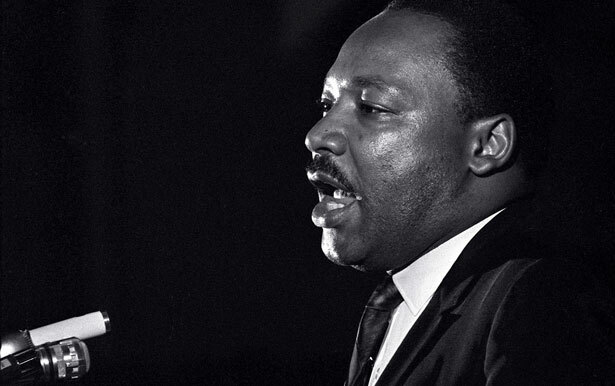 Our most famous Prize-winning writer was also, for a time, our most regular: from 1961 through 1966, Dr. Martin Luther King Jr. published annual reports on the civil rights movement in The Nation, some of which can be read here. Other Nobel contributions include several by Sir Norman Angell, British co-founder of the anti-militarist Union for Democratic Control (“Leftism in the Atomic Age,” 5/11/1946); an early book review by Elie Wiesel (“From Exile to Exile,” (4/25/1966); and an article by former West German Chancellor Willy Brandt about the perception of the US by the world (“A Revolutionary Republic,” 3/22/1986). More recent Prize-winning contributors included former President of the Soviet Union Mikhail Gorbachev on the failures of his successor, Boris Yeltsin, and last year’s Comment by three Nobel laureates—Archbishop Desmond Tutu, Mairead Maguire and Adolfo Pérez Esquivel—on what they called the “persecution” faced by Bradley (now Chelsea) Manning at the hands of the US government. In 1946, The Nation had the honor of seeing a former staff editor win the Peace Prize when Emily Greene Balch, who helped run the magazine’s International Relations Supplement from 1918–19, was honored for her work with the Women’s International League for Peace and Freedom, founded in 1915 to build grassroots support against the World War. Balch shared the Prize with YMCA leader John Raleigh Mott. After becoming one of the first graduates of Bryn Mawr College, Balch studied sociology and economics in Europe. In 1891, at just 24 years old, Balch made her first contribution to The Nation in a long and rigorous dispatch about a new law in France aimed at eliminating regressive property taxes. Let it be added that the two chief promoters of this reform stand for constituencies which will henceforward have heavier tax-bills to meet, and which may not appreciate the honorable disinterestedness and public spirit of their representatives. But at least these gentlemen and all who have joined in the good work may feel that they have taken their part in freeing France not only from a material cause of distress, but from a reproach to her honor and her justice. After returning to the United States, Balch joined the faculty of Wellesley College and became a professor of sociology and economics in 1913. When hostilities broke out in Europe the following year, Balch immersed herself in the pacifist effort to keep the United States out of the war, helping to found the WILPF—another prominent leader of which, Jane Addams, would win the Nobel Peace Prize in 1931. After Wellesley terminated her professorship in 1918 due to her vociferous antiwar activism, The Nation’s pacifist editor Oswald Garrison Villard immediately hired Balch to help reinvigorate the magazine as the standard-bearer of American liberalism and to publicize the antiwar cause. She helped edit the new foreign affairs section with future Nation editor-in-chief and publisher Freda Kirchwey and wrote unsigned editorial blurbs for the magazine. Kirchwey’s biographer Sara Alpern has written that Balch was known in the office for “absently nibbling raisins as she read clippings” and for her voracious knowledge of international relations; Kirchwey admired Bluck’s intelligence and courage, calling her “the least self-conscious woman” she had ever met. Differing with Villard’s fervent stance, on anti-imperialist grounds, against the League of Nations, Balch left the magazine in 1919 and joined the Women’s International League full-time. The organization became a major force in the international peace movement and, based in Geneva, still thrives today. When The Nation marks its 150th anniversary in 2015, WILPF will celebrate its 100th. Never the narrow partisan of a single method, she has always gladly cooperated with organizations of very different shades of opinion, convinced that all are needed in the work of constructing peace and that in a pluralistic and not too centralized movement they can learn much from one another. With her dry and kindly sense of humor, her modesty, her integrity of mind, and above all with that priceless quality of spiritual intensity and vision, she has won the respect of sincere workers for peace everywhere. And in her they have all received recognition.